Ebook of The Imlen Brat Is Available For Preorder On Amazon! And it’s a good thing I set that up before sending the ebooks out to Kickstarter backers, because Amazon and Ingram are able to test ebook files for readability on a wider array of devices than book designers are. We were able to fix some problems with displaying the illustrations in the Kindle/mobi version that Amazon’s online proofing system caught. All better now. Kickstarter backers will still receive their files before anybody else, but if you aren’t a KS backer and you want to order a Kindle copy for October 30, here you go. …of my commitments to my Kickstarter backers, that is. After a couple of false starts — CreateSpace’s printing quality couldn’t do right by the illustrations, and getting LightningSource to keep up required a couple of rounds of proofs and a huge electronic file — we got a proof that the artist and I were happy with. I ordered 150 copies, figured out the best way to get the ebook and audiobook to people, and prepared for the Sneak Preview Launch Party at Capclave. Between the launch party and the mass autographing session, I sold enough copies to cover the cost of the launch party food, which is never guaranteed. A few of my Kickstarter backers were at the convention, so I got to put the book directly in their hands (Look Ma, no postage!). If any of the people who went home with a copy write online reviews, it’s a pure win. Here’s hoping the World Fantasy Convention goes as well. There won’t be a party to host, but Broad Universe will have a table in the Dealer’s Room, and some of my backers will definitely be there. I’m about to start shipping actual postal parcels to people. Kickstarter veterans tell me this stage can make a person feel like s/he lives at the post office, and that postage always costs more than one imagines possible. Postage, they say, is the Kickstarter killer, the budget buster that can leave a creator in the hole even after raising a bunch of money to get a thing made. I’ve been advised not to count on online estimators to be accurate. So now I start finding out whether I built enough into my budget. In another month or two, this little chapter of my career will be behind me. I’ll still need to give the book a lot of ongoing support, but I’ll be ready to put most of my day-to-day writing time into The Next Thing. We’ll see if an agent comes on the scene to have an opinion about which possible Next Thing will win out. This course will offer an overview of literary fantasy in English, from Sara Coleridge’s lyrical Phantasmion, the first fantasy novel in English, to the latest crop of authors on this year’s Nebula Awards ballot. We will read some of the landmark novels in the genre, to include Hope Mirrlees’s Lud-in-the-Mist, Tolkien’s Lord of the Rings, C.S. Lewis’s The Lion, the Witch, and the Wardrobe, Ursula K. Le Guin’s first three novels of Earthsea, and Peter S. Beagle’s The Last Unicorn. Most of the works on the syllabus will be short stories, so that we can explore as much as possible of the range, variation, and evolution of fantasy literature over its two centuries. In a few cases, we will read excerpts from longer works, such as the Mu Lan movements from Maxine Hong Kingston’s The Woman Warrior: Memoirs of a Girlhood among Ghosts, and fragments of unpublished works, such as the youthful fiction experiments of the Brontë siblings. Students will come away from this course understanding a microcosm of literary history, one that allows them to explore concepts of genre, lineage, influence, literary movements, and canon formation. Sarah Avery is a working writer and a longtime private tutor with a Ph.D. in English Literature and seven years of university teaching behind her. She won the 2015 Mythopoeic Fantasy Award for Tales from Rugosa Coven. Her short fiction has appeared in Jim Baen’s Universe and Fantasy Scroll, as well as the Hugo-nominated online magazine Black Gate, where she has also written columns on teaching and fantasy literature. With David Sklar she coedited the themed anthology Trafficking in Magic, Magicking in Traffic. Her next book, The Imlen Brat, will be out this autumn. In her previous incarnation as an academic, she taught creative writing, literature, and composition. A parent who has homeschooled, she is delighted to make her return to classroom teaching in the company of homeschoolers. If you guys out in blog-reading land know any homeschooling teens in the DC/Montgomery County area, feel free to spread the word. And boy was there a learning curve involved in getting it ready. I’ve taken a lot of comfort in the thought that the next time has to be easier. I’m not sure what the next downloadable freebie will be, but I’m determined to offer another one before I forget all the how-to I just learned. The more I try my hand at these small acts of self-publishing, the more respect I have for everybody who publishes things, whether independently or with presses large and small. And I get more determined to release most of my work through traditional channels, at least for the foreseeable future. I write because I love to write, not because I love to wrestle with web design and ISBN registration. Stisele of Imlen has a mission to complete, but a snowmelt flood throws her into the company of an enemy soldier and traps them both atop an ancient ruin. Who will be whose prisoner? Whose side will find them first – her weathercalling kin, or the unstable prophets who command his Augury? That’s assuming she and her meddlesome ghost companions can keep her alive through the night. In this short story, the heroine of The Imlen Brat returns, now a young woman struggling to make a place for herself in a dangerous world that isn’t ready for her. Go to my website, sarahavery.com. Click on the Subscribe button to join my (very low-traffic) mailing list. Behold! You’re now on the Subscriber Freebies page. Click on the ebook format you prefer. They’re all DRM-free. The two of them together fit in the palm of my hand. I’ve needed them today, with all this news of the bleaching coral reefs. Maybe you need them, too. Long ago, before you were born, extinction came to claim the American chestnut tree. Nearly a third of all the trees in the Appalachians were American chestnuts, and they were about a quarter of the forest trees from Ontario to Mississippi. Eastern settlers who headed west and wanted to make someplace new feel like home carried chestnuts with them to plant. Those isolated trees, far from their home range, helped keep the species from vanishing entirely. My family tells stories of Uncle Arthur, thrice-great uncle to the youngest of us, a botanist who devoted himself to saving the American chestnut and otherwise lived childless. He came to Thanksgivings bearing enormous bags from the Yale nut research plantation. Every kind of edible nut that could grow in New England filled those bags, and the ancient primate activity of nutcracking kept the children out of the kitchen all Thanksgiving day, every year through the 1950s and 60s. For that matter, it kept Uncle Arthur out of the kitchen, too. He was a man of his time, and thought it funny to surprise whichever lady of the family bent over to baste the turkey. Maybe in another age he could have outgrown that creepy habit, maybe not. But the most human thing, the most redeeming thing about him in the family lore is how it broke his heart to watch the chestnut blight rip through the country. He and many scientists like him did everything they could, but his generation of American chestnut rescuers reached the ends of their lives believing they had failed. For decades, that was his story, and our story of the trees. Now I get to tell my descendants a happier story, though I only learned it at a funeral. If you have to be mortal, the best way to go about it is Uncle Jack’s way. He lived to be 91, to know his many descendants down to a passel of great-grandchildren, and to help decades of kids as a school counselor. He knew the green world and the human heart could heal each other, so he got those kids out into the woods whenever he could. And when he retired from working mostly on the human side of that relationship, he devoted his later years to preserving and restoring forests. In particular, he gave his time to breeding blight-resistant American chestnuts, teaching young people how to gather and preserve the nuts to give them the best chance to become mature trees. They’re not a sure thing, these two sprouts I have. The breeders are not ready to go to the public calling for a wave of volunteers and say now is the time to bring the species back to its old habitat. But they took a chance on those of us who came to pay our respects to Jack. Maybe the love we have for him, the grief, the care for his legacy will make up for our lack of expertise. If we follow directions (test soil, add lime to ph 6, etc. ), and we catch a little luck, maybe our children will get to see what few have seen in a century: American chestnut trees ten stories tall. The Imlen Brat opens in quite enjoyable territory. Then things start opening up, and moving in surprising directions. A delightful beginning. I look forward to seeing Stisele’s future in all its colors. The Imlen Brat is a tale of court intrigue, fast-changing alliances, and the constant subtle peril of being an adopted daughter in an enemy royal house. It’s a compact Game of Thrones, with mighty pirate kingdoms, weather wizards, quarrelsome ghosts, curses, and secret magics. Don’t miss it! Aaaaand the release date slides to no-earlier-than-Bastille-Day, this time for a small, simple reason I could probably have avoided. Frustrating. But I’m still getting to put this book out there beautifully, the way I want to see it done, by means of other people’s money. I’m pretty sure the only way I’m letting those people down is by running later than I’d hoped by a couple of months. Here’s hoping that stays the only way. This weekend I’ll be in Rye Brook, New York, for Lunacon. I’m looking forward to reconnecting with a lot of friends and colleagues who rarely travel as far south as my current stomping grounds, especially my much-missed New Jersey critique group, Writers of the Weird. Enchanting an object has been an age-old habit of story-tellers. How do they chose them? How do they keep them from turning into a MacGuffin, or a plot coupon? Why does a magic toothbrush make us all laugh? They lurk among us. Werewolves, vampires, Greek gods, wizards and witches, the Fae. Hidden between the interstices of our lives, the magic awaits. Why? Beside the obvious reason that without it, it would be an obviously alternate world. Still, authors from Heinlein onward have done alternate worlds with obvious magic in modern society. What do authors get from this concealment? And how can it be justified within story terms? How to depict a realistic and consistent world in an imagined past? What kind of research can enhance your work? What kind of workaround work when history contradicts your fiction? How to create characters that aren’t just modern people in funny clothes? How to turn your site into a hugo-eligible fanzine. Is a Blog a Fanzine? Is a Website a Fanzine? Which current internet fanzines embody the fannish tradition? Which fanzines are getting the new generation of fans excited? So I’ve Just Finished My First Draft. Now What? The first draft of your awesome novel is complete. What do you do with it now to get it ready to sell? I promise it won't clutter your email in-box. The people already on my list can attest that I've, um, never actually sent anything with it yet. That's because I've been holding out for the moment when I could offer something I heard mentioned again and again in your lists of favorite things: exclusive content. Spun-off short stories, deleted scenes, alternate versions of kept scenes, all these were things people had enjoyed from other authors' newsletters, or as thank-you freebies for people who joined email lists. So, to make my little list bigger, I'll be offering a spin-off short story about Stisele, the heroine of The Imlen Brat. For at least the next three years, this story will be available only to my list subscribers. 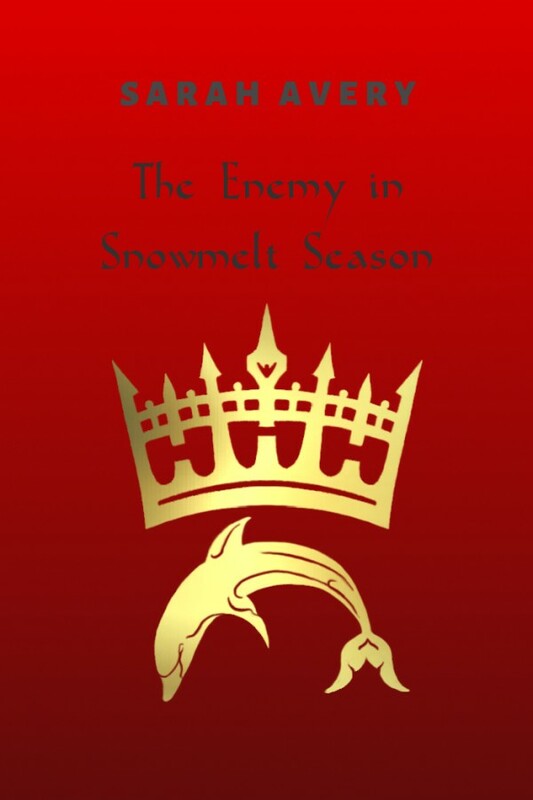 "The Enemy in Snowmelt Season" finds Stisele in her late teens, serving in a war zone as her foster father's envoy. She has a mission to complete, but a snowmelt flood throws her into the company of an enemy soldier and traps them both atop an ancient ruin. Who will be whose prisoner? Whose side will find them first – her weathercalling kin, or the unstable prophets who command his Augury? That’s assuming she and her meddlesome ghost companions can keep her alive through the night. After laboring over that a while, Dan said, "Now, to get the cover image to show up on people's Kindles, you need to give it an ISBN of its own. One for each format, actually." "Isn't that overkill?" I said. "It's just a freebie. It's 9,000 words." "If we're going to do this, we should do it right." Dan knows me well. As my grandfather used to say, anything worth soldering is worth soldering to NASA specifications. So now I've got a batch of ISBNs. I was going to need some anyway for The Imlen Brat. It's good to be one item further down the Kickstarter checklist. The one thing we're still figuring out is the best way to get these ebooks out to people. Dan has come across several different ways to do this, but we're guessing there's probably a way readers prefer. So I put the question to you guys, especially if you've received free ebook files from other authors' sites: which way of getting those files have you liked best? I’m on a big book reviewing kick at Black Gate. In addition to reviewing the first volume of Tim Akers’s Hallowed War series, The Pagan Night, a few days ago, I volunteered to take a look at a trilogy being published all in one season, and another trilogy that’s winding up. So the publisher for the latter is sending me all three volumes, hoping I’ll review the whole series. It’s a bigger gamble than they think, sending me all these review copies. I don’t mince words when I’m sent a book I can’t honestly vouch for. I can vouch for The Pagan Night, though. If Hayao Miyazake were writing Princess Mononoke as a sword and sorcery novel set in a Shinto version of Western Europe colonized by outsiders whose cosmology looks a lot like modern Wiccan duotheism, it might come out like this Tim Akers novel. Although the result doesn’t crack my personal top 3 books for the past 365 days, it’s hovering somewhere in my top 10, pending how its sequels follow through. First the story spent about twice the usual time for consideration at the toughest market in the genre, and came back with two full pages of description of the editorial committee’s deliberations about whether to accept it. They could have sent a one sentence does-not-meet-our-needs-at-this-time. Instead, they told me exactly what to make better and urged me to send the next other thing I wrote. Yay. So then I sent the story to the second-toughest market in the genre, where I got another long personalized rejection urging me to send my next story. Yay. To break the tie in my own deliberations about where to send it next, I picked the highest-paying of the remaining markets in the genre. They usually reject in about three months. Instead, they held onto it for ten months while they tried to decide between it and a specific other story for a spot in a specific issue. Very close, keep trying. Yay. I get all the best rejections. At times like this, I remind myself that even Jay Lake, even at the height of his Jay-Lake-itude, said he got three rejections for every acceptance. At times like this, I imagine it might be nice to be a short-form specialist, rather than a long-form specialist who occasionally challenges herself to write short. So out it goes again. Good luck, little story. And now back to work on the short story in progress.